Kentucky Landlord Forms are essential throughout the course of every tenancy and can protect you in the event that you have to file eviction or other violation of landlord tenant laws against a tenant residing in one of your Kentucky rental properties. It is imperative that you always have ample supply of every form that applies to your rental properties and the Kentucky Uniform Residential Landlord and Tenant Act on hand. You do not want a situation to occur that leaves you without the Kentucky Landlord Forms that you need immediately for any situation that may occur. It is imperative that you include the Residential Lease or Month-to-Month Rental Agreement available for completion at the commencement of every tenancy. A professional residential lease agreement saves you the time of attempting to create a lease on your own and gives you the confidence that the language on the lease agreement form complies with landlord tenant laws. Additionally, getting your residential rental agreement forms from American Apartment Owners Association provides substantial savings over the cost of having an attorney draw up your residential rental agreement. If you require your tenants to pay a deposit, the Rental Deposit Form provides documentation that the tenant paid the deposit and the exact amount of the deposit. This is not only for your records or for the tenant’s benefit, but protects you if the deposit becomes an issue in any legal proceedings. The Kentucky Landlord Tenant Act requires that if a landlord requires a deposit that the “tenant shall be presented with a comprehensive listing of any then-existing damage to the unit” prior to the tenant tendering and the landlord accepting a security deposit. This requirement makes having the Move In/Move Out Checklist crucial, so that both you and the tenant can document any pre-existing damage to the premises. The Disposition of Security Deposit is crucial so that when the tenant moves out, you can provide the tenant with a detailed listing of any deductions from the security deposit, in event the tenant owes any past due rent or to compensate for damages to the property that is considered beyond normal wear and tear. While the tenant cannot refuse the landlord reasonable access to the property for legitimate reasons, landlords also cannot violate the right of access. 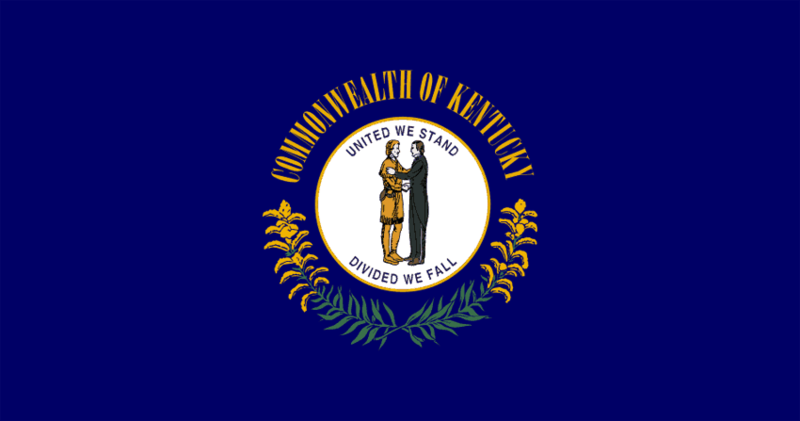 Kentucky requires landlords to give at least a two-day notice before entering the premises, except in case of emergency. Including the Notice of Entry with your Kentucky Landlord Forms enables you to give your tenants the proper required notice when you need to gain access to the property for repairs or other reasons. Unfortunately, not every tenant turns out to be an ideal tenant. If a tenant violates terms of the rental agreement in a manner other than for non-payment of rent or conducts any activity that disturbs other tenants you can serve the tenant with the Notice to Perform or Quit. Perhaps the tenant is not keeping the property clean, plays loud music all hours of the night or has other people living in the home who are not on the lease. The Notice to Perform or Quit requires the tenant to correct the violation or quit the premises. Should the tenant violate the lease by not paying rent on time, serving the tenant with the Notice to Pay rent or Quit is crucial before taking legal action for a forcible entry and detainer action. This notice serves as the three-day notice to pay all past due rent or move out. Failure to comply likely leaves you no choice but to file an eviction action. A variety of other essential Kentucky Landlord Forms are quickly easily and available to you, whether you need basic forms or forms for more complex situations. Trusting American Apartment Owners Association for all your Kentucky Landlord Forms saves you considerable legal fees should you have the forms drawn up by an attorney and prevents you from not having a necessary form on hand when you need it. The American Apartment Owners Association provides landlord forms nationwide. Looking for a state other than Kentucky?